Since its foundation in 2010, our institute has made a number of achievements as a result of collaborative work between theoretical and experimental research groups at KMI, the Graduate School of Science, the Graduate School of Mathematics, and the Institute for Space-Earth Environmental Research (ISEE) at Nagoya University, aiming at elucidating the mystery of particles and the universe. 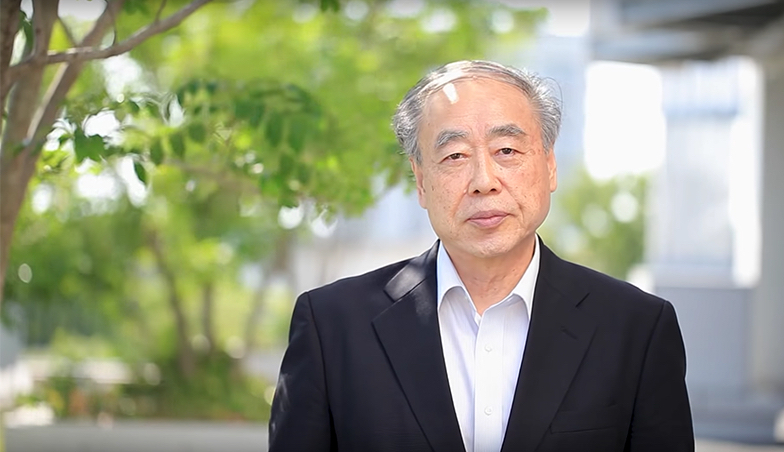 The researches on particle physics at Nagoya University are rich in tradition since Professor Shoichi Sakata; the remarkable research development, such as the two-meson theory, the Sakata model, and the Maki-Nakagawa-Sakata theory of neutrino oscillation, resulted in the establishment of the current Standard Model of particle physics. For this establishment, experimental groups at Nagoya University have made substantial contributions. In addition, it is worth noting that the astrophysics at our university is also one of the research fields that has tradition of excellence for many years. Currently at KMI, we place a strong emphasis on the theme, “Investigation of the Dark Universe” in search of new physics beyond the Standard Model. I would like to strive for creating the KMI to be an attractive research organization together with our members, producing cutting-edge research outcomes.